Find the current digital magazine of Brides of Houston here, along with archives of past issues and access to online magazines for our companion publications Brides of Austin, Brides of North Texas and Brides of Oklahoma. 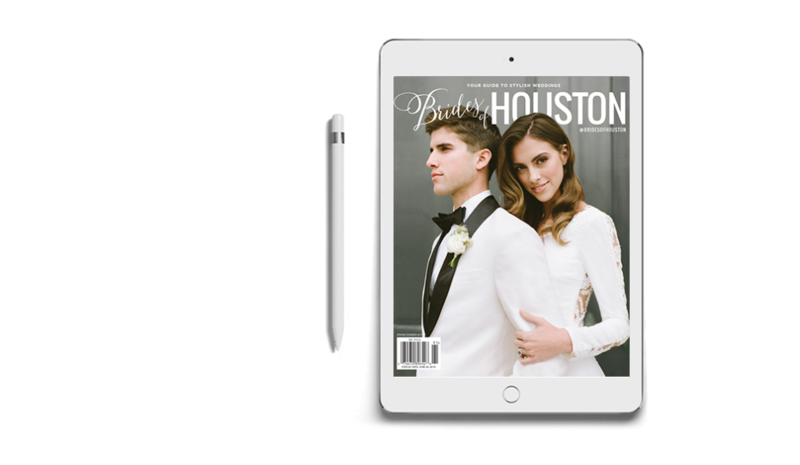 Peruse the pages of the digital magazine for endless ideas and inspiration for your Houston wedding and the best in wedding fashion found at local bridal boutiques in Houston. 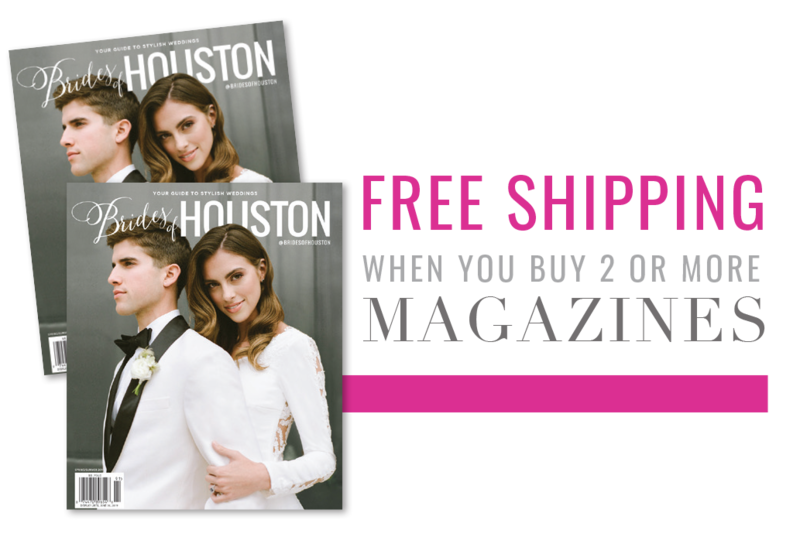 Alongside each and every feature, you’ll see the team of local Houston wedding vendors that brought each magazine editorial and Houston wedding to life! Be sure to also check out our Houston venue guide, Luxe Locations, to make it easy to find a wedding or reception venue. Want to see even more editorial coverage, check out the full posts of Magazine Editorials here. Plus, dive into the Wedding Planning and Inspiration section of the site for more wedding planning tools to help make your Houston wedding spectacular. You’ll find image inspiration along with wedding trends, tips and advice from local Houston wedding vendors. It’s how you lay in bed and plan your Houston wedding.